Swimming can be great fun, but there’s no denying that it tests human physical performance. The making of a sport was inevitable! The seasonal heat that typically accompanies summer is sweeping the Northern Hemisphere, particularly regions close to the planet’s equator! In an effort to escape the scorching sun, many people will find themselves tucked away indoors with the air conditioning unit, but some may alternatively choose to swim! Swimming, as one may expect, is a recreational activity that involves one or more persons and a decently-sized body of water. Swimming is considered a fun, effective form of exercise and, in the case of hot days and months, is also an excellent way to stay cool! Still, while the activity is regarded as pure enjoyment for some, others may view it as a competitive outlet. In what capacity does competitive swimming exist, and how does it differ from regular swimming? Swimming for Sport: Where did it Begin? Open water swimming is a great opportunity for competitors to see the sights. Of course, manmade pools are often more ideal for swimming in a competition environment. Traces of swimming can be found far back into ancient human history. Some of the earliest documented evidence of recreational swimming among people dates at around 2000 B.C., and the alleged first book on swimming, title “The Swimmer or A Dialogue on the Art of Swimming”, was written by a German professor named Nikolaus Wynmann. The early-mid 19th Century saw development of “sporty” swimming in England, where competitions centered on the activity began to gain traction and popularity among public swimming clubs. From there, the competitive athletic component of swimming only had room to spread and mature. Men’s swimming became a part of the modern Summer Olympics in 1896 when the first was held in Greece. 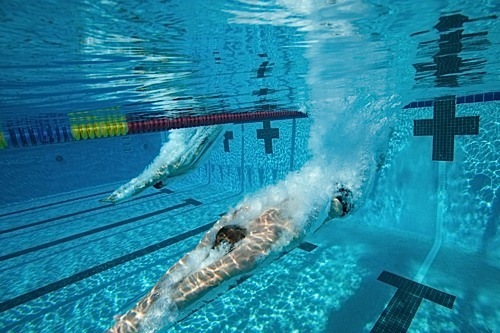 With the goal being to break pace and time records while trouncing opposing participants, technique is an important component in competitive swimming. Naturally, the surest way to achieve success is to manage one’s endurance and maximize speed when moving through the water. To train for swimming competitions, athletes tend to focus on high-stress physical and stamina training, gradually reducing workload as deadlines approach. To further improve hydrodynamic performance, professional swimmers also shave off excess body hair and shed as much dead skin as possible. This streamlines the body, making movement more efficient. Competitive swimming is broken up into a variety of styles and formats. For example, in open water swimming, athletes compete in an open body of water like a lake. Swimming competitions may also take place in artificial or manmade water bodies – mainly laned pools. Competitive swimming also featured 4 major styles that have remained relatively consistent over the past few decades. 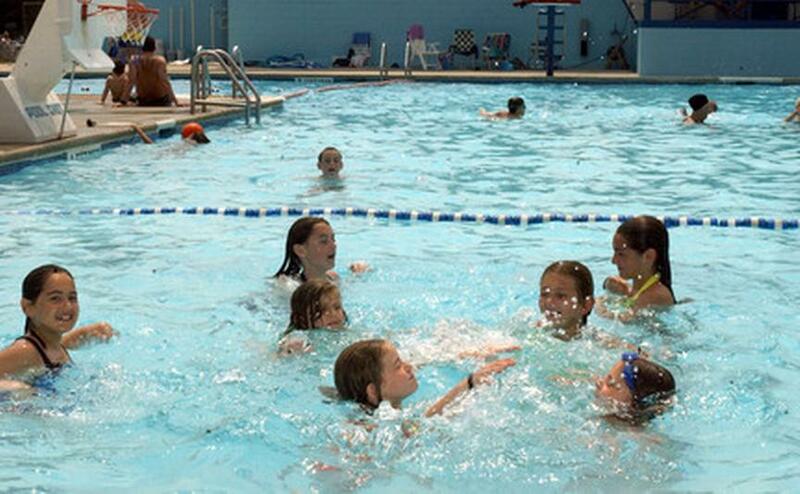 These styles include the butterfly stroke, the breaststroke, the backstroke, and freestyle. Competitive swimming is celebrated worldwide, courtesy of international sporting competitions like the Olympics! This entry was posted in Fitness/Wellness, Olympics, Other and tagged competition swimming, speed swimming, sport, sports, sports and fitness, sports and leisure, sports and training, Sports Archives, Sports Blogs, sports history, sports performance, Swimming, swimming blogs, swimming drag, water sports. Bookmark the permalink.